I’m a big believer in the phrase “good things come in small packages”. When I’m in a rush or I’m traveling, I often don’t want to mess with an entire palette of eyeshadows. 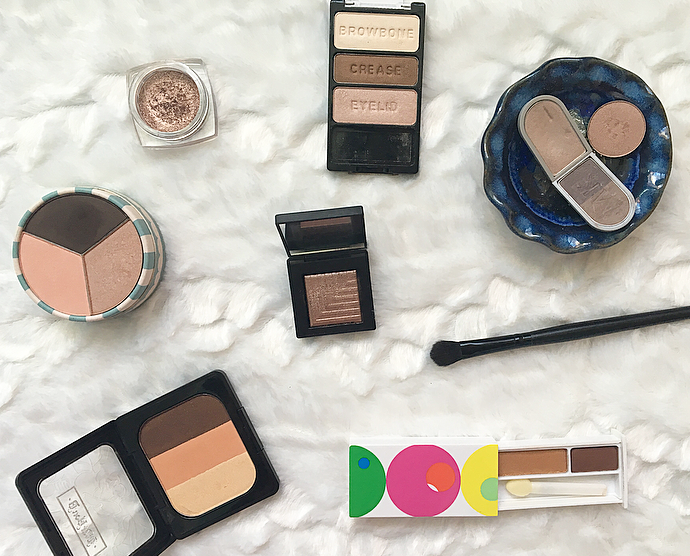 Lately when I’m not testing out a new palette, I’ve been reaching for smaller singles, duos, and trios instead! With less variety, there’s less to fuss over and I’m out the door much faster. Plus, some shadows just look amazing alone and don’t need anything to compliment them. First up are the singles. I’m a big fan of neutrals, but with a twist. I wouldn’t wear a bright green all over the lid but I’m all about olive shades! Same goes with metallics, pinks, and purples. Therefore all of my favorite single shades are nothing too out-there but they are still eye-catching. 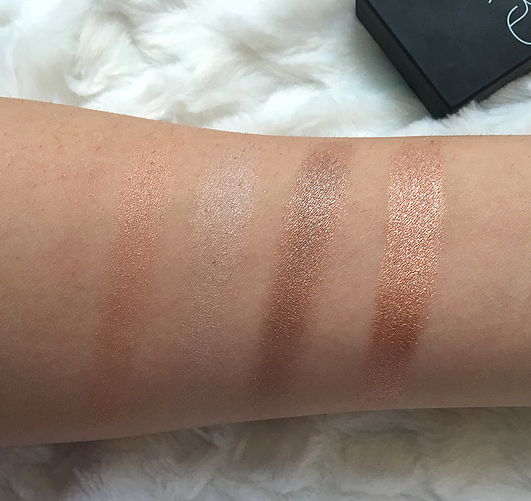 My absolute favorite single shade is this beautiful rose gold shadow from L’oreal. At $6 this is an absolute steal! The Infallible eyeshadows are creamy to the touch and are incredibly pigmented. They stay on the eye really well and with this shade especially I find that one wash of color is perfect for a put-together look. My only issue with these is that a brush doesn’t pick up the pigment very well, so I usually use my finger. This is a brand that I don’t think gets enough credit, I have a lot of Mary Kay eyeshadow singles and duos and they apply really well. Pink Sateen is one of my favorites because it’s almost duochrome. It’s a really unique silvery pink color that’s stunning alone or on top of other shades. I’ve made quite a dent in this one! This dual intensity golden/taupe/bronze shade is another of my absolute favorite shades. I’ve never seen another color like it and when I wear it alone it looks like I spent five times as much time on my eyes than I actually did. The price is quite steep, but these shadows are really top-notch and worth it in my opinion! I told myself I wouldn’t include any eyeshadow pans in this post because they’re all technically in a palette, but with this shade I really had to. All That Glitters is one of MAC’s most popular shades and with good reason! The peachy champagne color is universally flattering and gives a nice wash of color and shimmer on the lid. As for duos, my collection is quite lacking. If I’m going to use multiple shades I prefer quads and trios as they usually include a crease, lid, and highlight shade. However these three I really love so I had to include them! This duo is the perfect mix of neutral and color for me. The navy crease shade and the pale blue lid shade make for an interesting but subtle difference from my typical brown metallic eye. Another colorful duo, this plum-toned charcoal and grey combo looks amazing for a smoky eye. These are also matte, which I hardly ever wear! Both the dark and the light shade are housed in the same pan so it’s easy to mix them together if needed, too. Bronze and gold shades are perfect for autumn so this duo is one I always reach for this time of the year! While these aren't the most pigmented, they are easy to build up and I get almost no fallout from them. The finish is lovely as well. Onto the trios! All of my favorites are very similar in shade selection, but I just love the pink/brown/white combination so I have multiple trios with a similar vibe to it. My summer obsession was definitely this little ice-cream inspired trio from Stila! The packaging is so cute and I love how easy these shadows are to blend. You get a ton of product (I’ve hardly made a dent in it) and everything about it is fuss-free. I like to apply the golden shade all over the lid, the chocolate shade in the crease, and then pat a little bit of the pink shade in the center of the lid. It’s a slight twist from the standard golden eye and I really love the effect it gives. I only wish it had a better highlighting shade! These are my first eyeshadows from Kat Von D and now I’m anxious to try more! (Anyone else obsessing over the Magnificent Metals holiday palette??) The pink shade in here is even warmer than in the Stila trio so I think this gives a really cool look for autumn, and this one includes a top-notch highlighting shade! For around $3 these eyeshadows are bomb. They have a few different color combinations available but of course I went for another pink, brown and white selection. Drugstore eyeshadows rarely have this good of a formula and I want an entire palette of them. These are buttery to the touch, blend and apply beautifully and have good staying power. I can’t wait to get my hands on more of these! What are some of your favorite trios, duos, and singles? 14 comments on "10 Amazing Eyeshadow Singles, Duos and Trios"
I'm exactly the same when travelling. It just means I have less to deal with and my everyday routine is kept simple! I love some of these little palettes, haven't tried the Kat Von D one but definitely want to! I used to only have singles and quads. But when I started getting more into makeup, I was all about the palettes. And when I had the single eyeshadows, I would just put it across my lid. Now with the palettes, I always feel the need to do my lid, crease, transition, etc. and it can be overwhelming! Nice to know that I can go back to my natural, easygoing roots. I do have a few MAC eyeshadows that I have been eyeing on! Amber Rush and Walking on Eggshells are some of the best drugstore shadows! All of the L'Oreal Infallible Eyeshadowsare incredible. I only have two but I look at them every time I'm at the drugstore! Amber Rush is such a pretty shade! I'm so glad that I decided to pick it up. It definitely surprised me, with it being a drugstore shadow. 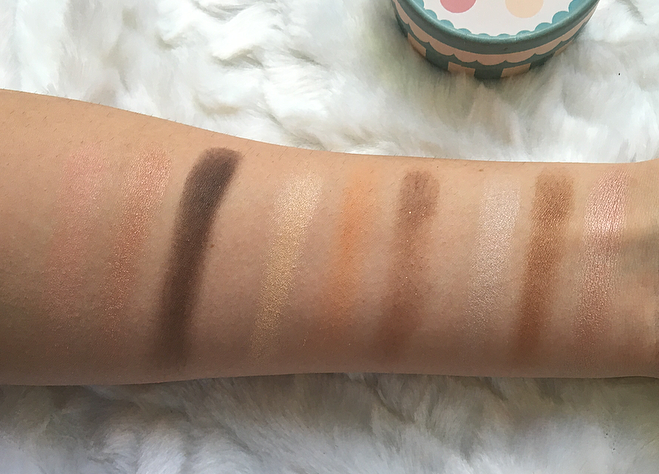 I've been currently loving Maybelline's color tattoo 24h cream eyeshadows. They look amazing, have a great price and stay on all day. I need to pick up some more shades! 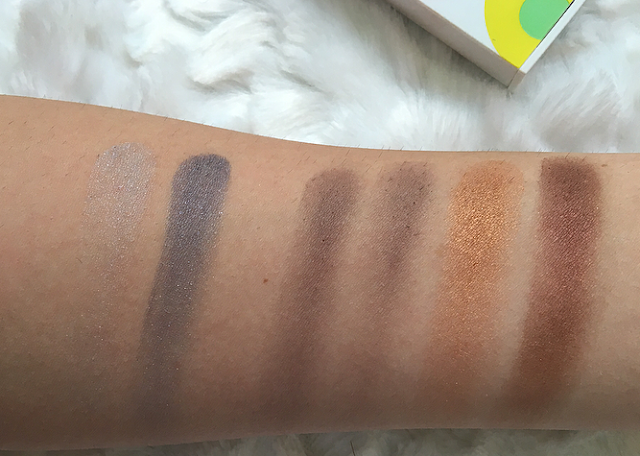 I wish I could swatch them before buying them, it's hard to see the real color in the store.